This module is able to control multiple connected modules with the Pneuduino library and can be programmed via USB through the Arduino IDE. At the boards heart is an ATMega32u4, which registers as Arduino Micro when connected to the computer. 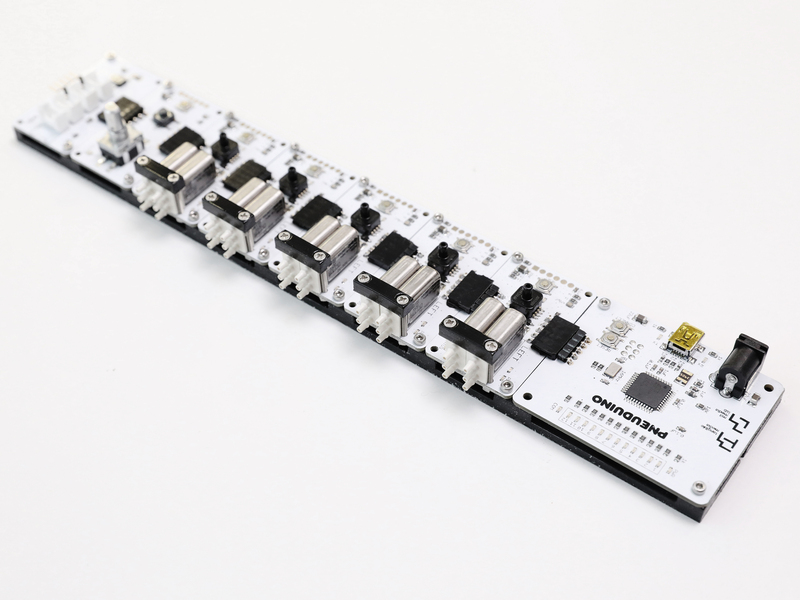 Up to 11 Pneumatic Control Boards can be connected to a Master Board. 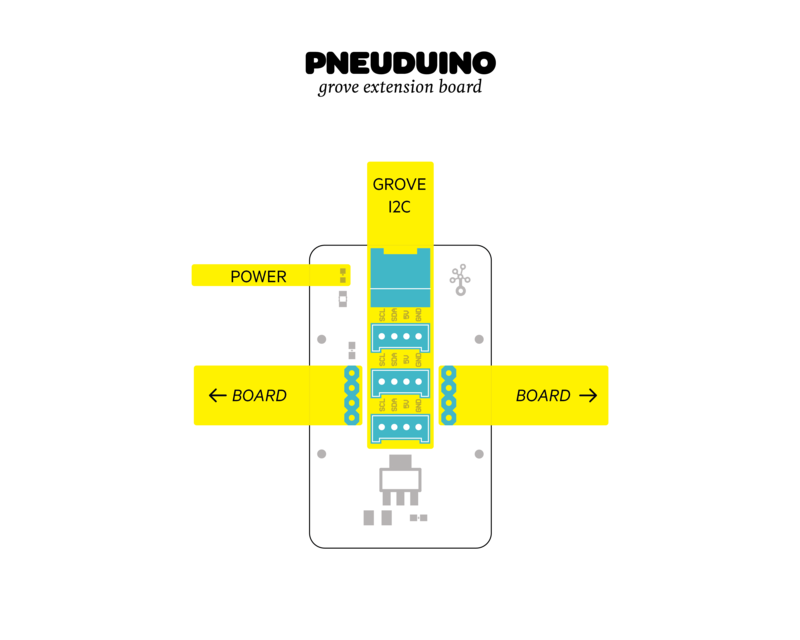 One additional Input Board as well as one Grove Extension Board can be added. When boards are connected to this control module, the LED with the according address lights up to acknowledge the connection. 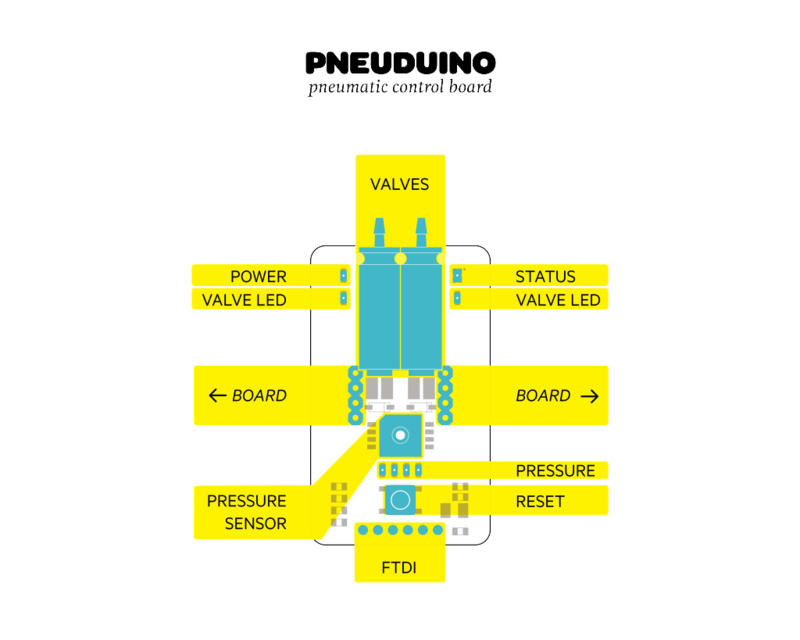 This module is the hero of Pneuduino as it is built to control air flow and read air pressure. Two solenoid valves on the board allow allow full control of one, or partial control of two air bladders. The pressure sensor can read values up to 58 PSI and the four LEDs under the sensor show the pressure. 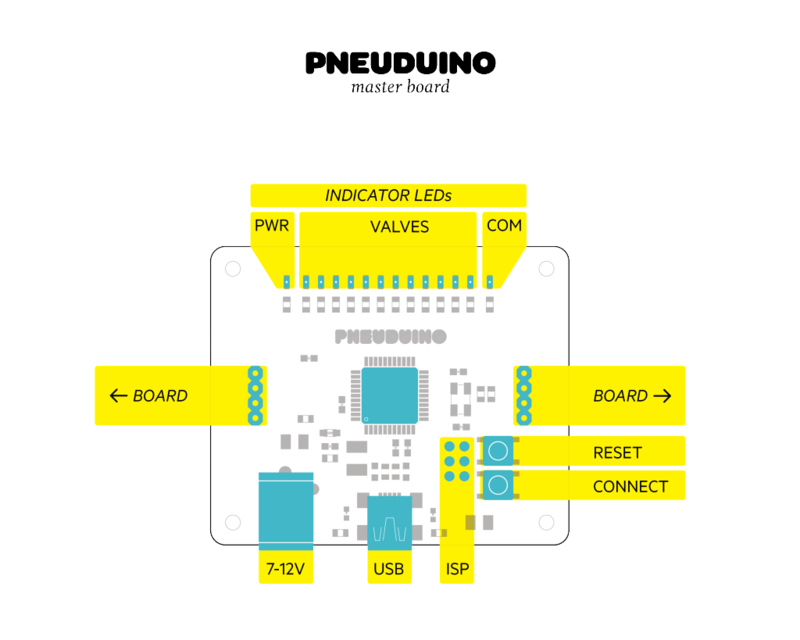 The board can be controlled from a Master Board and the Pneuduino library or, for simple applications, it can be used individually by programming and powering it directly through the FTDI header. At the board’s heart is a ATMega328P that registers as Arduino Pro when programmed directly. When you need a simple button to trigger an event, or a dial to tweak a parameter, this board is very useful. It features two push-buttons and a potentiometer and can be directly connected to the Master Board. 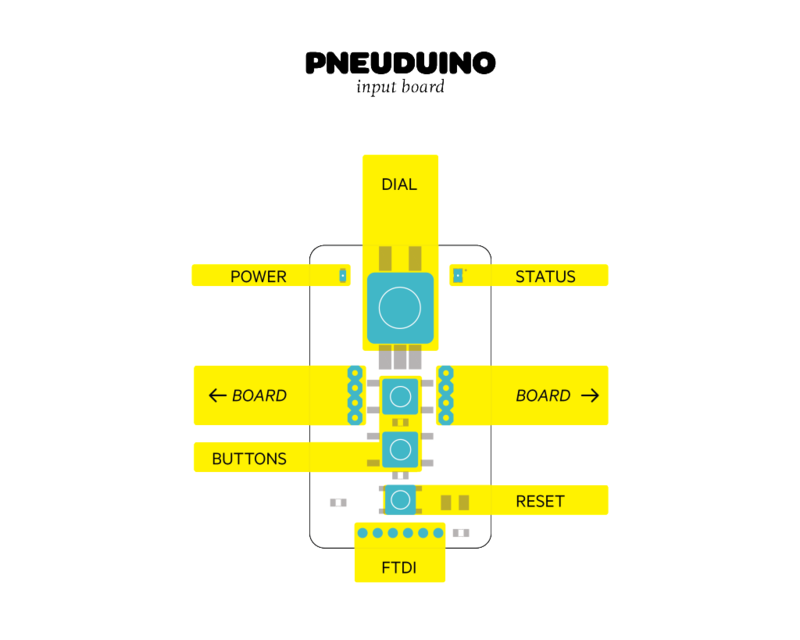 Reading the buttons is afforded by dedicated methods of the Pneuduino library. If you want to add an extra sensor, LED or other peripheral to your pneumatic system, you can use this board to connect any 5V compatible I2C device. We designed it with the Grove kit I2C header, because we don’t like to be stopped by soldering when we are prototyping. You can always find the most current design files and the Arduino library on github.